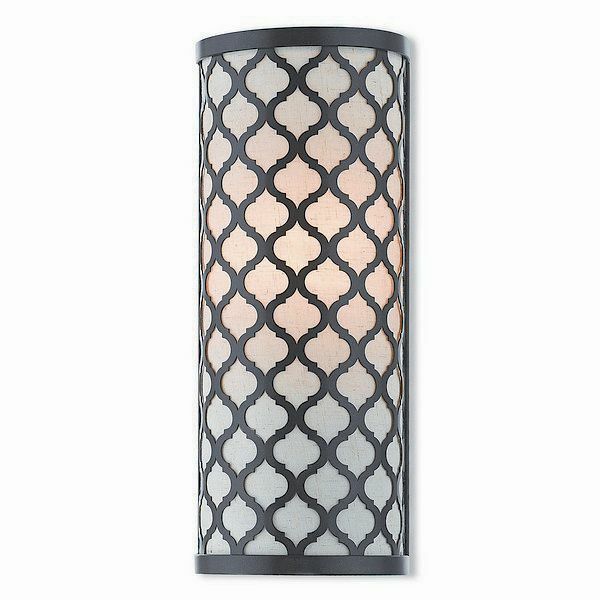 Livex 41114-92 - The Arabesque one light wall sconce adds refined style and a hint of mystery to your decor. An oatmeal fabric hardback shade creates warm illumination, while the light brings to life the intricate english bronze cutout pattern. Dimensions: 5.125" W x 12.875" H x 3.875" Ext.